Hey did you know that June is National Zoos & Aquariums Month? If you can't make it to the zoo, you can still explore all kinds of animals with books. Try this one out, and stick around--next week I'll be hosting a giveaway with all kinds of animal-tastic reading material! Animal Planet's definitive atlas of animal life takes readers on a continent-by-continent and habitat-by-habitat passport to adventure! Meet fierce snow leopards in the Tibetan mountains, giant helicopter damselflies in the rain forests of Central America, majestic eagles in the temperate forests of North America, and hundreds more fascinating creatures. Wow! Really well done—my brain feels jam-packed with information after reading this one. Things that I love? First and foremost: great organization. It breaks down each continent into its different biomes and then examines the native creatures there—everything from the smallest insects to the biggest mammals. 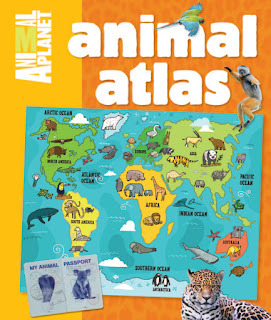 It's not comprehensive (obviously, it's a kids book, people) but includes the most well-known of animals (e.g. lion, tiger, bear—oh my!) and a fantastic assortment of the weird and wonderful. It can be read front to back (it reads like we're traveling from continent to continent), or you can pick and choose randomly with each page spread being great on its own (index in the back helps find specifics, too). It has fantastic pictures; large spreads without being busy or competitive. And of course, just enough text to provide fascinating little facts. 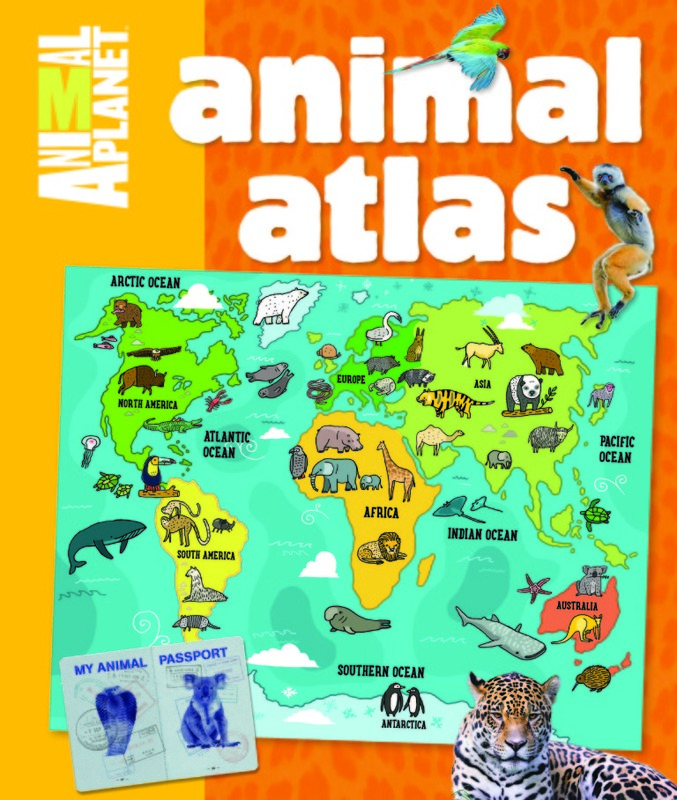 My one small, small complaint would be the illustrations—I do with they were a bit more realistic (used for the maps and some animals) since it is a nonfiction book (for example, is that a tiger on the cover in Asia...?). But hey, that's just my preference. Otherwise, really well done and would be a lot of fun for kids to pore over.